Consumers have been buzzing about advanced technologies for the past year with increasing enthusiasm. If you consume any media at all it would be hard to miss all the articles detailing the brave new world of possibilities, especially as they relate to the autonomous and electrified vehicle market. It’s not just a media sensation, it’s an infusion of capital allocation that’s keeping the dream alive. Manufacturers, suppliers, and tech companies have invested enormous sums of money to make the dream reality. While we’re at it, there’s more good news along the theme of the “times they are a’changin.’” There has been a huge shift in public acceptance of autonomous technology just over the past year in several major countries. The U.S. saw the percentage of those who feel that autonomous will not be safe drop from 74% to 47%. Similarly, South Korea saw it drop from 81% to 54%; Germany from 72% to 45%; and France from 65% to 37%. Yet, for such rapid change in public opinion year-over-year, the report also points out that “it still leaves almost half of consumers in most markets doubting the safety of this technology." Everyone generally accepts that public opinion will continue to shift in the positive acceptance direction. The problem is there is strong evidence that current business models will not sustain the frantic pace of capital allocations currently flowing into the autonomous drive and electric powertrain development. 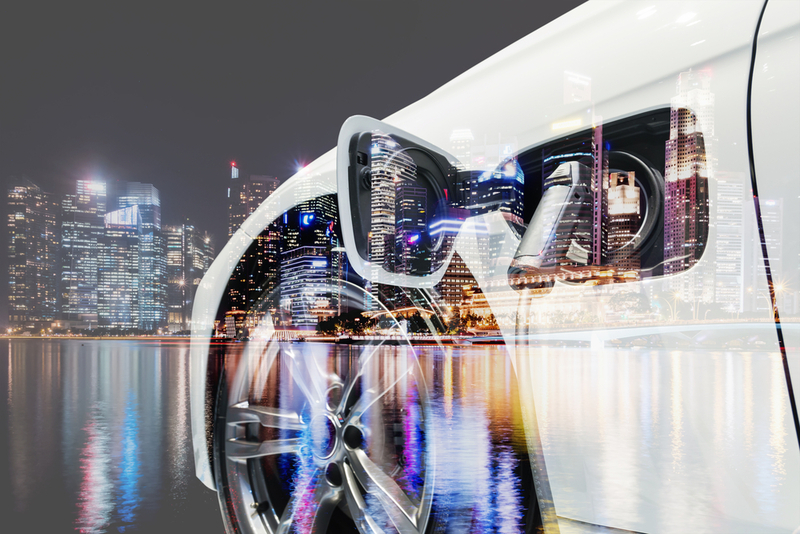 Cooling global conditions threaten to derail several key automotive markets around the world, and it is therefore unlikely that OEMs, suppliers, and technology companies can keep up. “Even companies that are actively looking for ways to maintain a level of focused investment through market rationalization, brand divestitures, or operational cost cutting are likely to find it difficult,” according to the report. The report reminds us that the automotive market itself is a mature, 100-year-old industry. Autonomous and EV technology is not mainstream enough yet for widespread, immediate adoption. In other words, the tech is not yet mature enough. The B to C model isn’t going to cut it with the traditional high fixed costs that automakers currently absorb. While consumers are excited about the technology, there are limits to how much they’re willing to pay. There is opportunity here for disruptors to capitalize on investments with the right business model solutions that could generate more appropriate levels of return. The technology, in this case, just might be the easy part. Eventually, standards will be imposed on the new technology. According to the report, “Early, active, and consistent involvement with regulators in tandem with ecosystem partners is essential to best inform investment decisions and market plans.” In this sense, investment in EV technology is probably the safer bet since it is so far ahead in terms of regulatory development. They say that the challenges for autonomous may be more varied and, therefore, more difficult to time the level of investment. Given the sheer size of the total vehicle population, and that each one now lasts 10-15 years or more, the kind of transformational change that comes with autonomous driving and electric powertrains will likely take several decades to reach a tipping point. Stay in reality and be wary of the frenzy. Again, the industry is a century old.